Greetings from Nashville, Tennessee where the weather is hot, humid and a bit stormy right now. 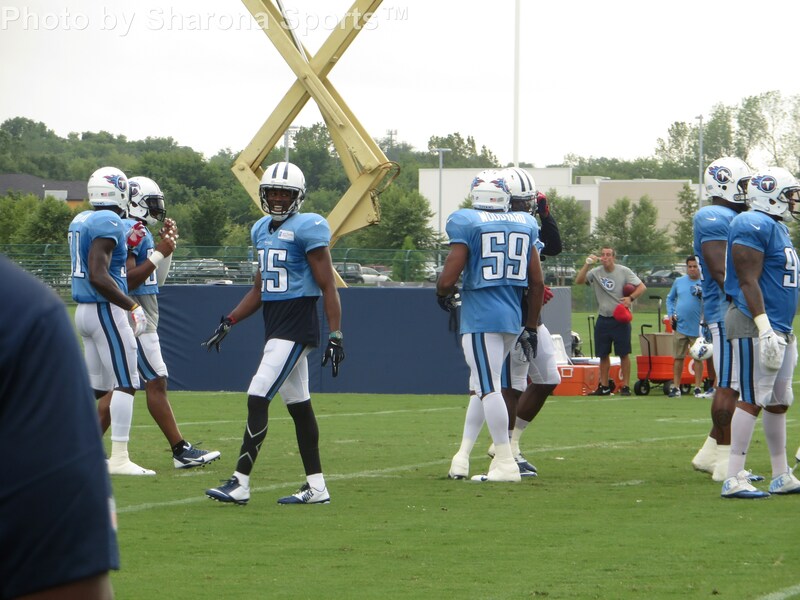 The Titans held their 11th practice of training camp this year today and like the weather it wasn’t pretty. Let’s dig right into what was good and bad about today’s practice. 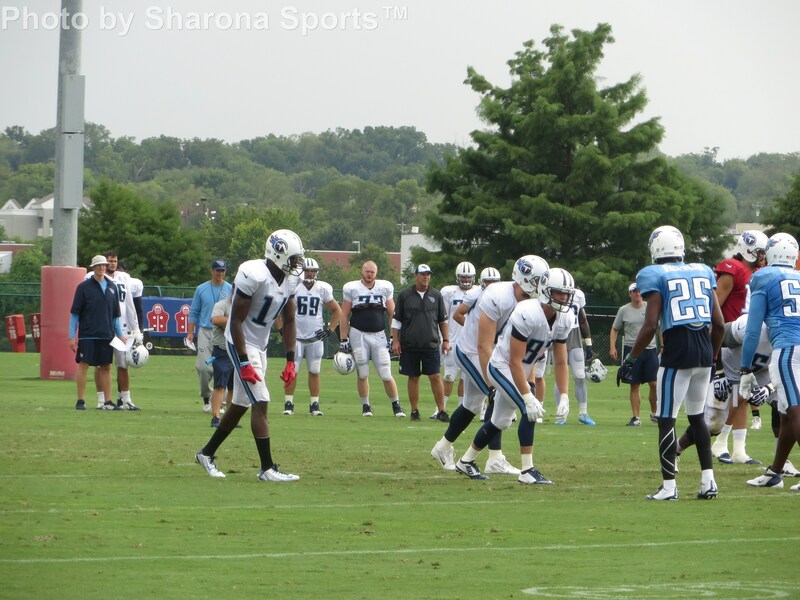 With all due respect to head coach Ken Whisenhunt, who credited the sloppy practice by the offense to the defense, the receivers as a group were unfocused. Taylor Thompson, Derek Hagan, Chase Coffman, and Nate Washington were just a few who failed to haul in passes they should have caught. 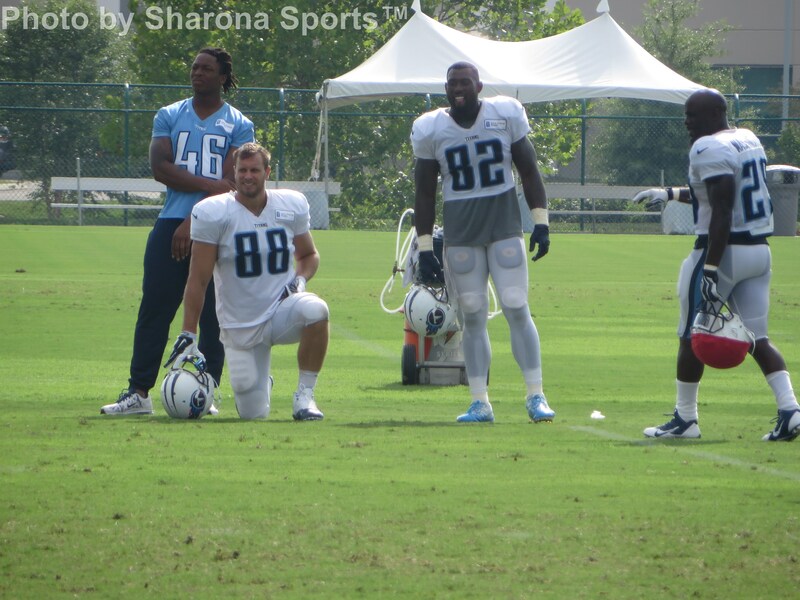 Delanie Walker and Craig Stevens are the best tight ends in camp thus far and it really isn’t close. Thompson is a talented guy who hasn’t been bad at all in camp. It’s the inconsistency that is maddening. Entering his third season, Thompson is no longer a player in transition. He is a tight end. When the ball hits his hands or between his numbers he needs to make that catch. It would be a stretch to say Jason Schepler is gaining on him but he is having a good camp and making tough catches. I haven’t weighed in yet on Nate Washington because I thought his camp would get better. Washington is a solid veteran who probably isn’t in any danger of a roster spot but his camp has been underwhelming. The cornerbacks seem to have his number and today he failed to haul in a pass that he bobbled going out of bounds. It wasn’t only the receivers who lacked focus. 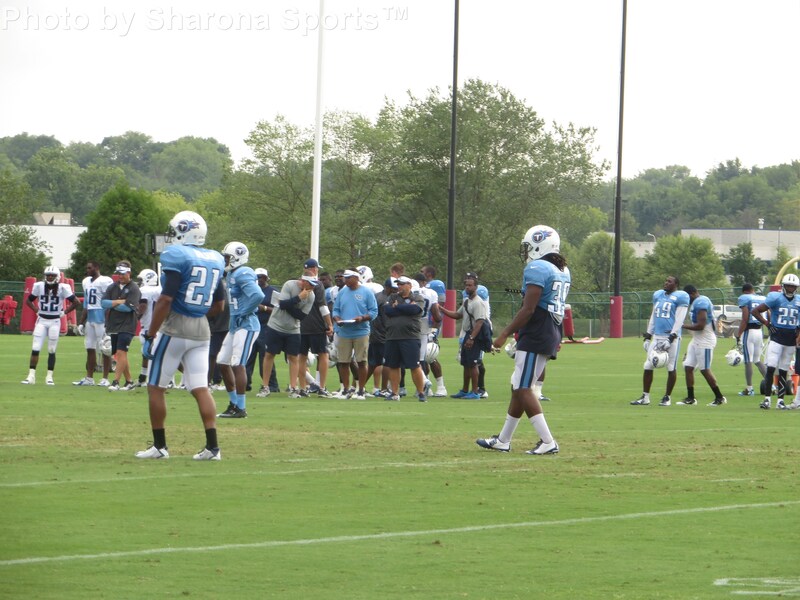 Rookie running back Bishop Sankey put the ball on the turf twice in camp today and ran a lap each time because of it. Also, the offensive line struggled and there were some bad interchanges between the center and the quarterbacks. Andy Levitre took responsibility for some of those issues. 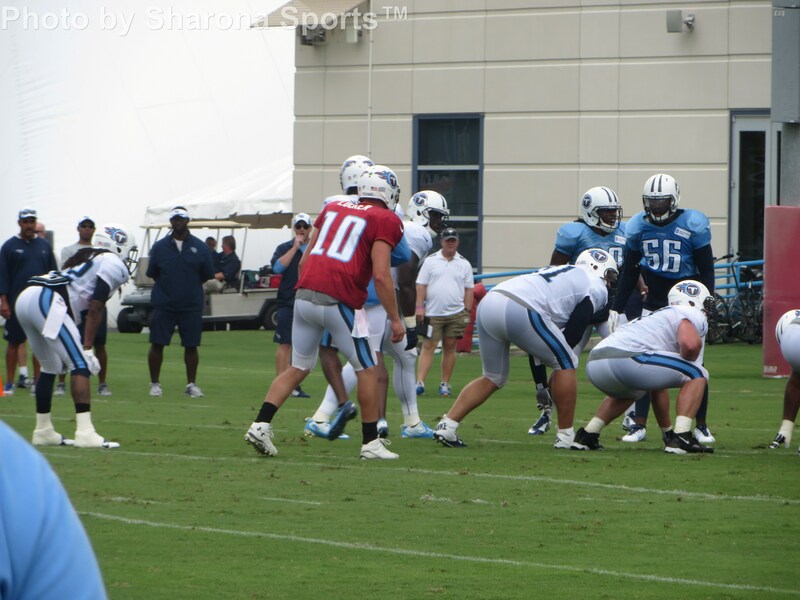 Conversely, I thought Jake Locker had one of his better if not his best practice in large part he was crisp and seemed more in command of the offense. Also, I did notice Charlie Whitehurst calling out Taylor Thompson who seemed lined up wrong and showing veteran presence in taking command of the play and the situation. He did throw a bad interception right to Blidi Wreh-Wilson. 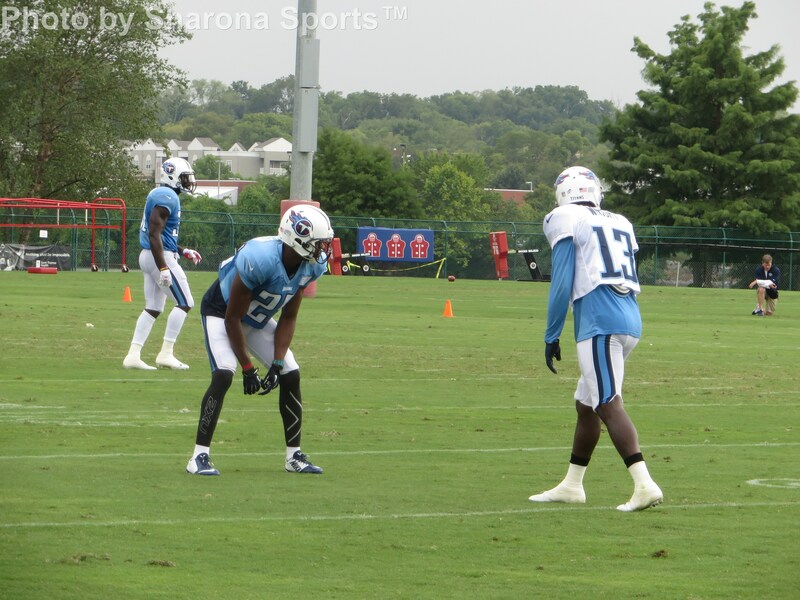 Both Justin Hunter and Kendall Wright had some nice plays today with Wright making a good play over Jason McCourty and Hunter over Michael Griffin. 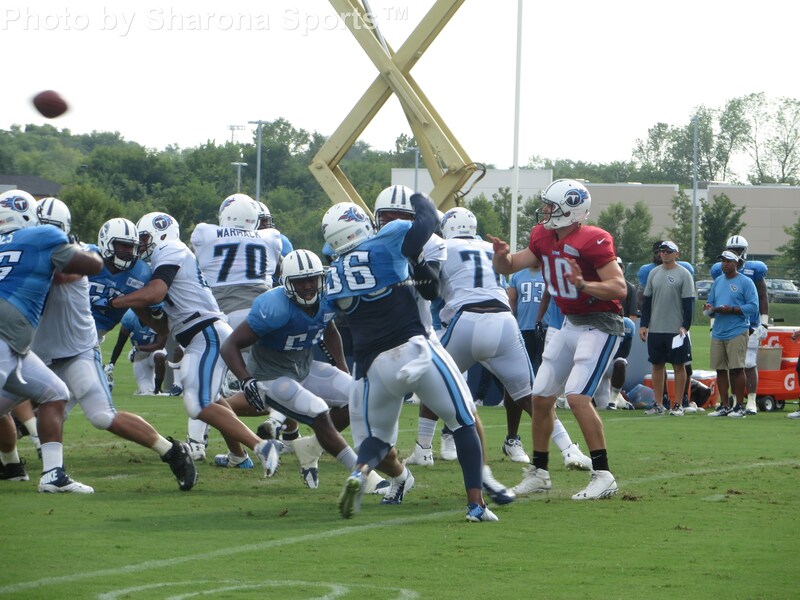 On another positive note, outside the Sankey fumbles, the running backs have made some eye opening plays and Jackie Battle made another one today taking a Mettenberger pass the distance over linebacker Johnathan Williard. 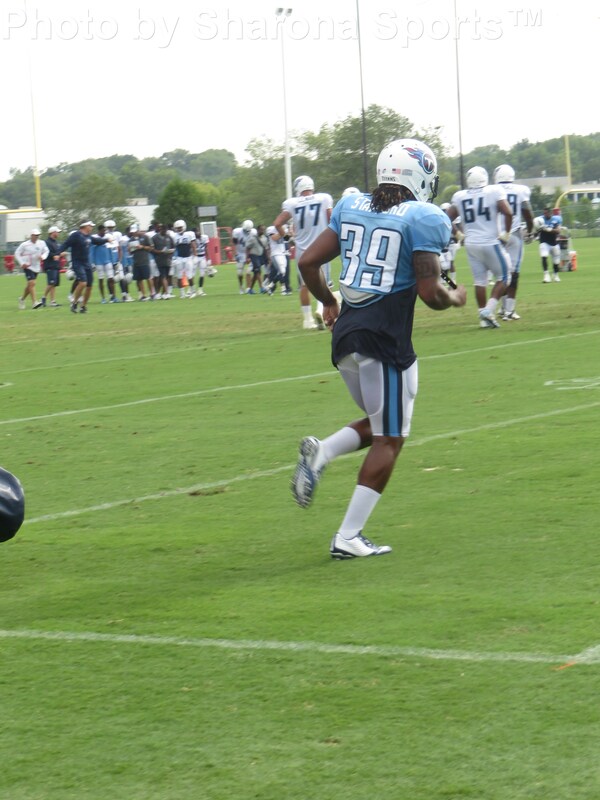 Dexter McCluster continues to show his speed and shiftiness while Shonn Greene looks good running between the tackles. Finally, in regard to the receivers, Michael Preston without question had the play of the practice and possibly training camp with a Sammie Watkins style one handed grab. 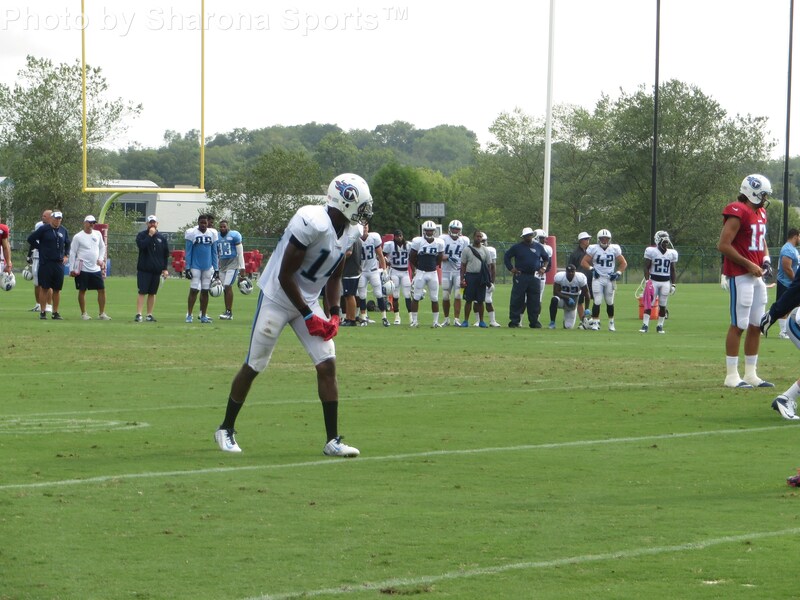 It was an amazing play by the third year wide receiver who spent his first year on the practice squad. 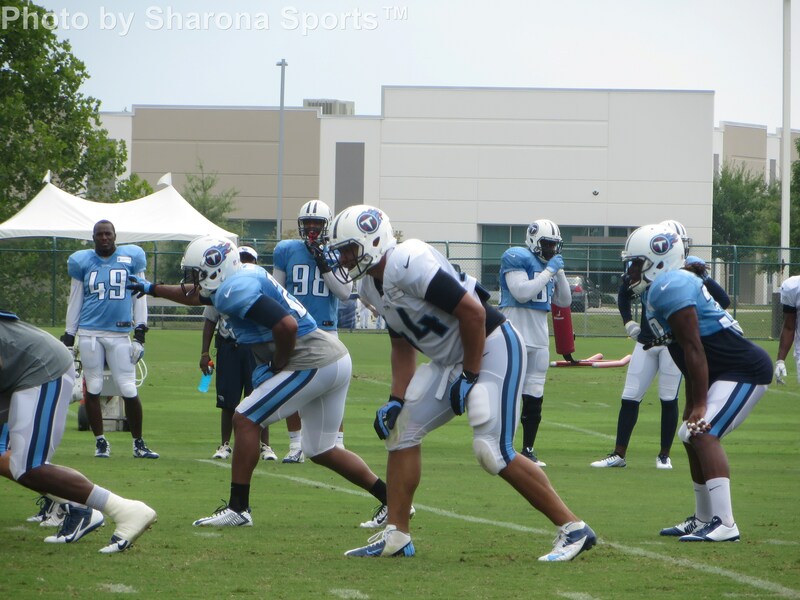 Preston has had an excellent camp and is making a legitimate case to make the 53 man roster. Clearly specials teams coach Nate Kaczor or one of his assistants was unhappy with special teams play Saturday night or today because that portion of the practice was quite vocal. Lavar Edwards was just one victim and I’m not exactly sure what he did but you could hear it across the field. Edwards isn’t having a bad camp by any means. 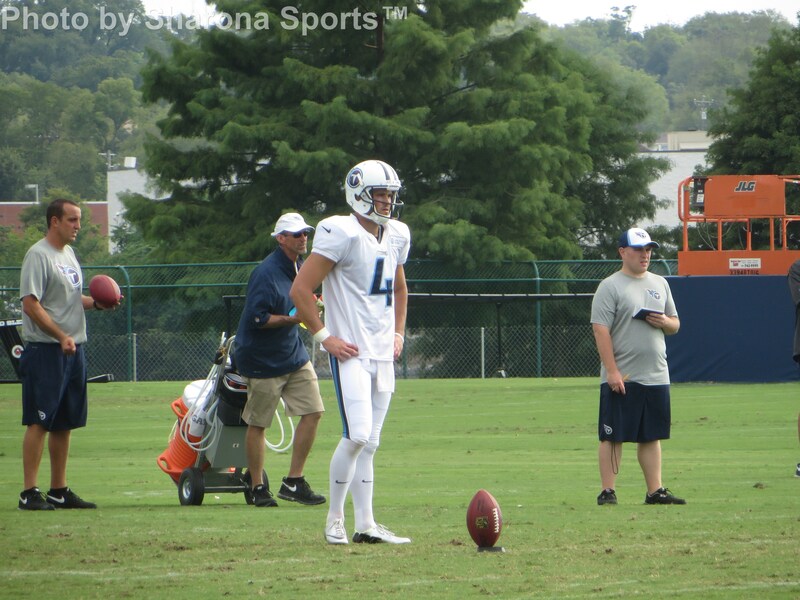 A bit more on special teams and it seems Travis Koons is getting better at distance kicking. 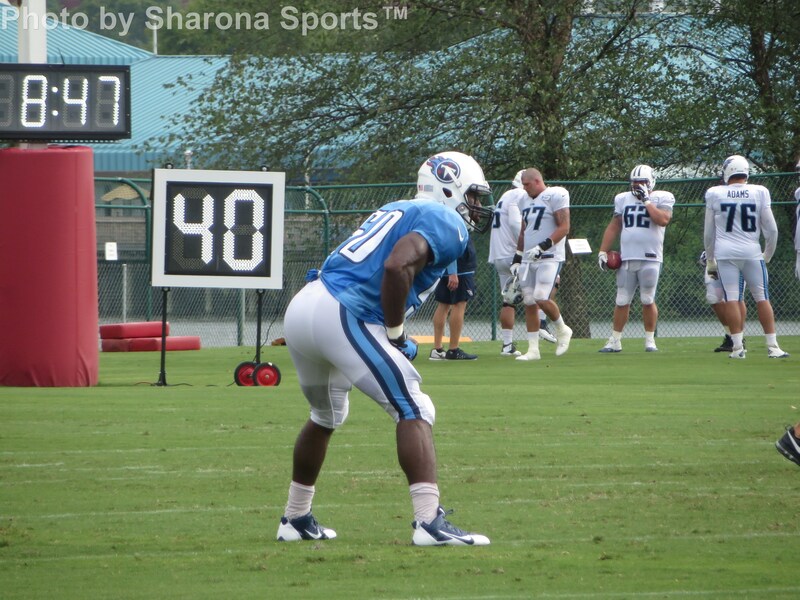 He had a nice kickoff Saturday night as well as a nice kick in camp today. Of the two kickers on the roster right now I peg him as the favorite though it’s a weak race right now. 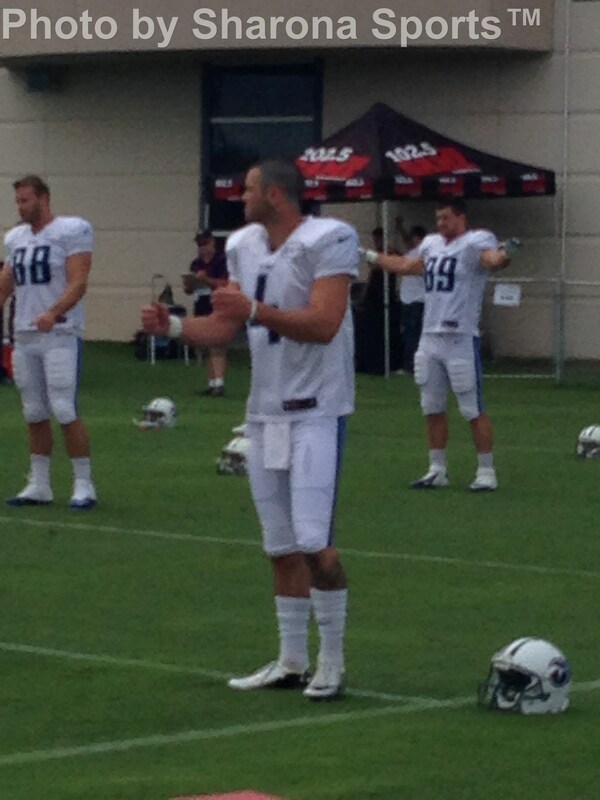 I still think the Titans could call Rob Bironas if it doesn’t continue to improve. The young defensive backs continue to make noise. In addition to the Wreh-Wilson interception, Daimion Stafford is still making waves and continues to lay some big hits. Coty Sensabaugh and Wreh-Wilson continue to interchange in the secondary and it seemed that Wilson got more snaps at right cornerback today. Finally, I haven’t talked enough about second year linebacker Zaviar Gooden who keeps nipping at Zach Brown’s toes. I wasn’t sure Gooden would fit into the new hybrid defense but I am happy to be proven wrong. Either Gooden is bigger than I remembered or he has bulked up a bit. Either way, he is making a push to take the starting role and did start the first defensive series Saturday night because Zach Brown can’t seem to stay out of the doghouse. Finally healthy, Gooden is getting a ton of reps on both defense and special teams. 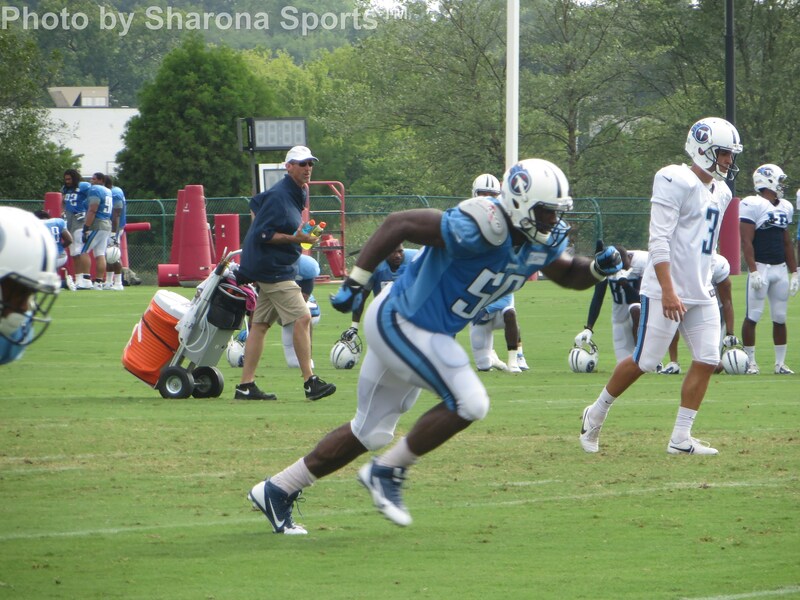 Rookie linebacker Avery Williamson also keeps catching my eye. 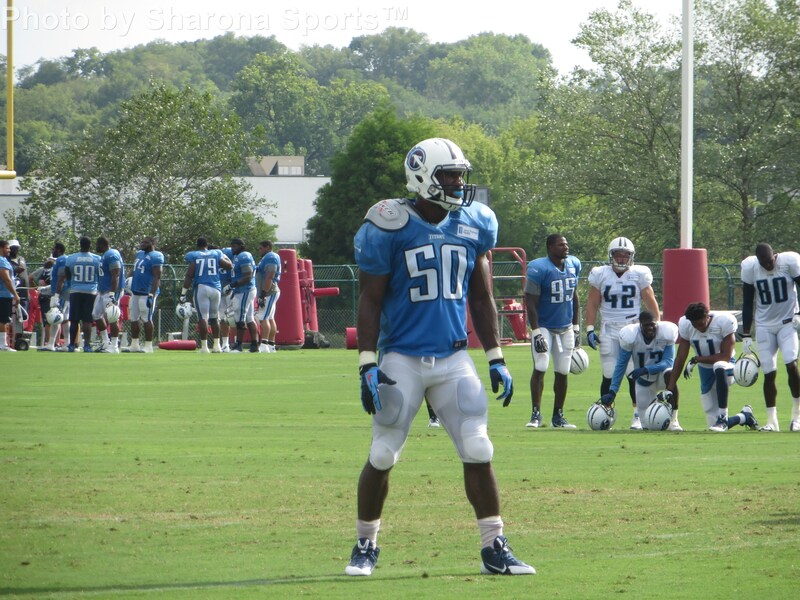 It will be interesting to see how many linebackers the Titans carry. I still think Colin McCarthy ends up on injured reserve. 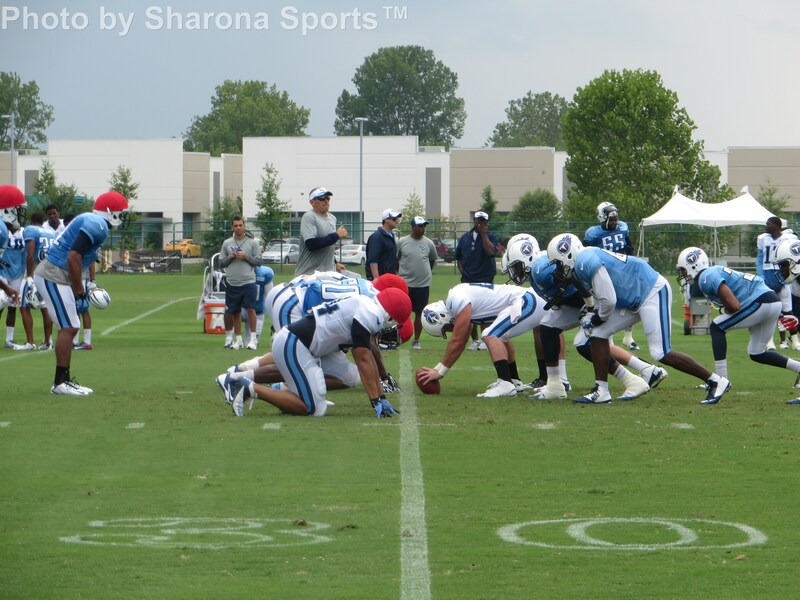 The Titans will hold 2 more training camp practices and Tuesday, August 12 is open to the public. Practice time is from 2:50 to 5:00 pm CST. There will be a final media only practice on August 13, 2014. They travel to New Orleans to take on the Saints in their second pre-season game scheduled for Friday, August 15, 2014.